Submitted by SCAW Volunteer Nicole Jones, March 14, 2013. 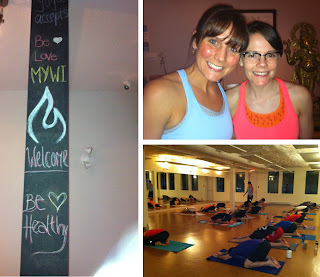 We spoke a month or so ago in regards to our yoga studio doing charity classes to support SCAW. 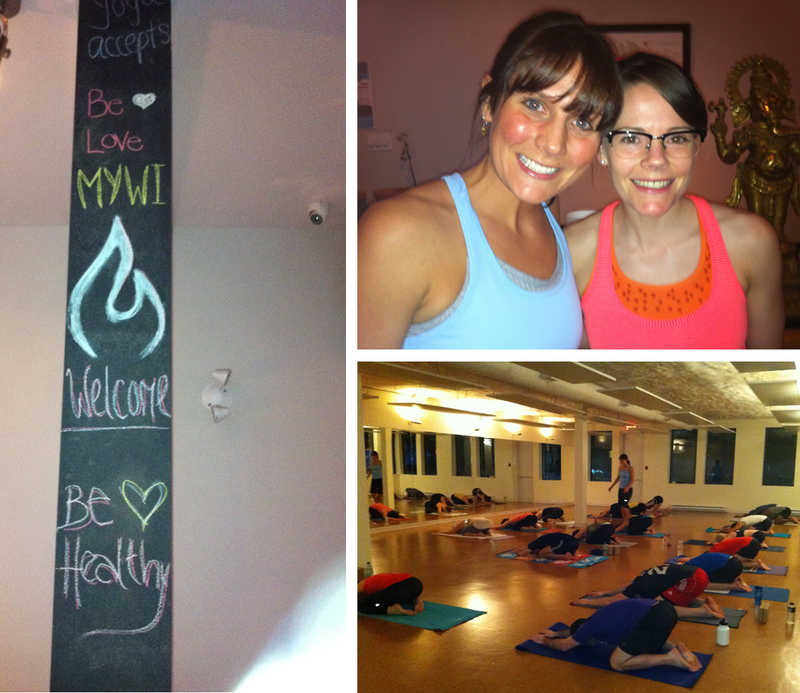 Well I'm excited to tell you that over past two months our charity classes raised 1474$. I will be sending the cheque in the mail shortly but I was wondering if you could let me know who/where to send it? 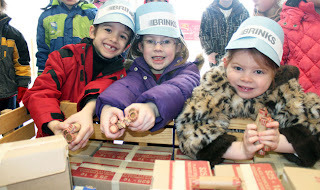 I'm going to email a few pictures from one of our special classes that took place on Feb 24. Monica Healey and Myself team taught for this wonderful cause! As posted on the Etobicoke Guardian website, March 4, 2013. 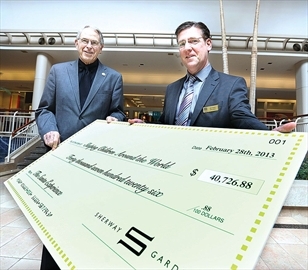 It was Christmas in February for Sleeping Children Around the World this week, as Sherway Gardens presented the Etobicoke-based charity with a cheque for $40,726.88 – the proceeds of the shopping centre’s award-winning Santa Experience. 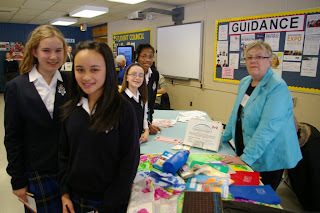 Dave Dryden, chairman of Sleeping Children Around the World, said those funds will translate into 1,164 bedkits (consisting of a mattress, pillow, sheet, blanket, mosquito net, clothing, towel and school supplies) to be distributed to children from countries all around the world – from India, Kenya, and the Philippines, to Uganda, Sri Lanka, Tanzania, Honduras and Bangladesh. “What I love is the fact that it’s because of kids and Santa Claus that that many kids in other countries get a gift – so it’s just like Christmas for them, too,” he said at Thursday’s cheque presentation, noting the organization distributes bedkits to more than 70,000 kids each year. Since 2002, 100 per cent of proceeds from the wildly popular Santa Experience at Sherway Gardens have been donated to Sleeping Children for a grand total of nearly $290,000. Those funds have gone towards bedkits for nearly 6,000 children worldwide over the years. Twelve years ago, at the behest of their then-resident Santa, Sherway Gardens evolved past the traditional photo-with-Santa and developed an interactive, half-hour Santa Experience whereby kids get to participate in sing-a-longs, dancing and story time alongside Santa, plus get the opportunity to share their Christmas wishes and pose for informal pictures with the big guy. And the results have proven positive: “I heard this year that for some families, it’s now part of the Christmas tradition in their home to come and visit Santa at Sherway because it’s so theatrical,” Resnik added, noting that what she likes best about the program’s partnership with Sleeping Children is its ‘children helping children’ focus. Sleeping Children Around the World provides bedkits to children of any race and/or religion who will benefit most – typically those located in underdeveloped and developing countries. No portion of any bedkit donation is spent on administration, as 100 per cent of all monies donated reach needy children. Submitted by SCAW Volunteer Michael Crossling. Margaret Crossling presented SCAW to up to 200 students at Holy Name of Mary College School in Mississauga today. The students were attending their Justice Day exhibition of various charities, one of which, by invitation, was Sleeping Children. All girls were most interested to hear about the work of Sleeping Children.